Pokémon artists have been providing fantastic designs and styles for fans to enjoy since 1996. However, in 1997 the manga series, Pokémon Adventures, was released and has been going strong ever since. The artwork has changed a bit over time and you can see all the details in Viz Media’s newly released book– The Art of Pokémon Adventures. 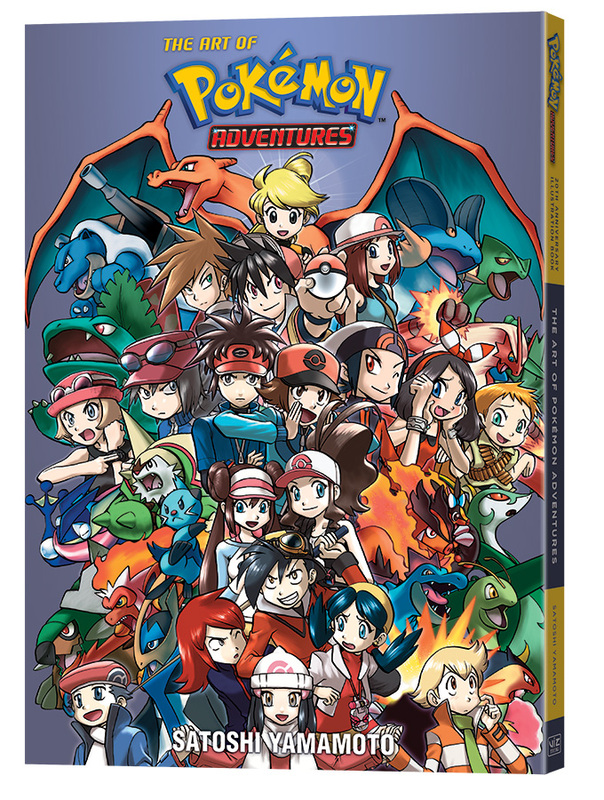 It comes as an oversized book featuring characters, settings and Pokémon from the series. They are also behind the scenes looks at story-boarding and design choices to learn from. Picking it up will also have a brand new spin-off story from the manga for fans to enjoy. Everything in the book shows of the hard work from Satoshi Yamamoto and others who have contributed to the series. Take a look at the cover art below and pick up your copy today!